My daughter has a new best friend and her name is Poppy. She’s fun, very pretty, has style reminiscent of the 1930s, likes to go out and play whatever the season and has all sorts of marvellous adventures. Poppy Childrenswear is a design concept like no other I’ve seen. Created in the UK, each Poppy collection begins with a fabric design that tells a story. 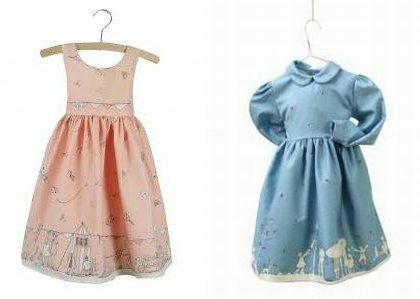 The design illustrates an adventure of a little girl named Poppy and her dog Fred and the fabrics are used for adorable dresses in traditional shapes as well as furnishings and bedding. 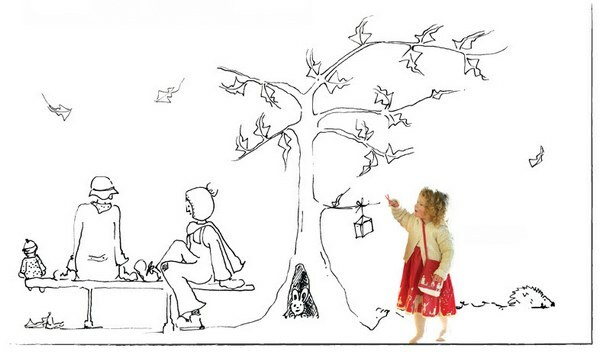 A little storybook comes with each dress, allowing you to follow the adventures of Poppy. 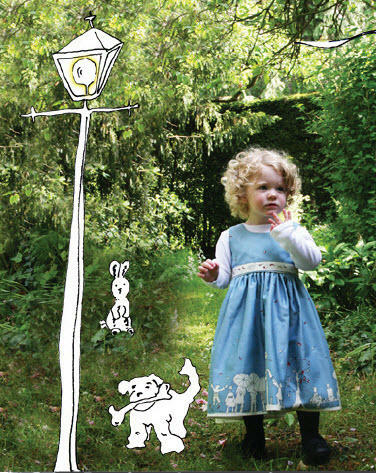 Each collection is named after one of Poppy’s adventures – so Autumn 2010 is called ‘Aunt Eva’ and the fabric and the storybook tells us about Poppy and Fred’s stay with her great Aunt Eva and their mischief with a rabbit hole. The stories are quaint and have an old world charm to match the dresses. Expect characters with names such as Nancy, Ted and Pipkin and lots of jolly adventures involving countryside rambles, birthday parties, tea and toast. While the whole Poppy clothing collection is just sublime (it includes knits, shoes, mits and coats for girls and boys) it is the dresses that stand out. Pintucks, slightly puffy sleeves, sashes and dainty collars match the amazing designs around the hem and all are complimented by perfect colours including rich reds, dusty blues and the softest of blush pinks. I suspect I’ll be locked into buying a Poppy piece each season so that we can continue to enjoy the adventures of this charming little girl! Dresses range from £46.95 to £56.95. Poppy ships to Australia.